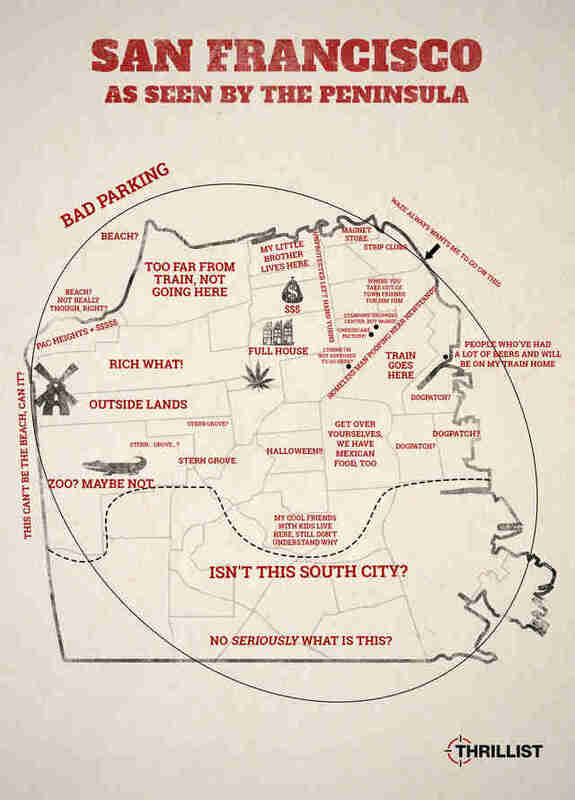 If you live in San Francisco, you probably have a pretty good grasp on what's what in the city. If you live 30ish minutes south of it, though? Well, let's just say things get a little more skewed. 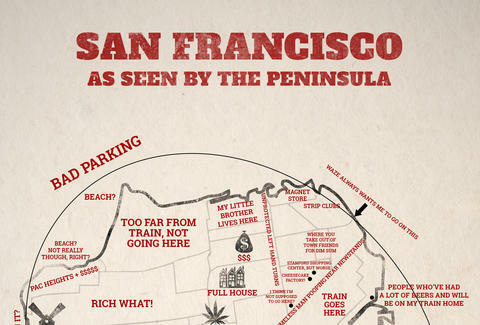 To give you an idea of just how much, here's a map of what SF looks like, according to people on the peninsula. Scroll down for the whole map, plus click here to make it more bigger.